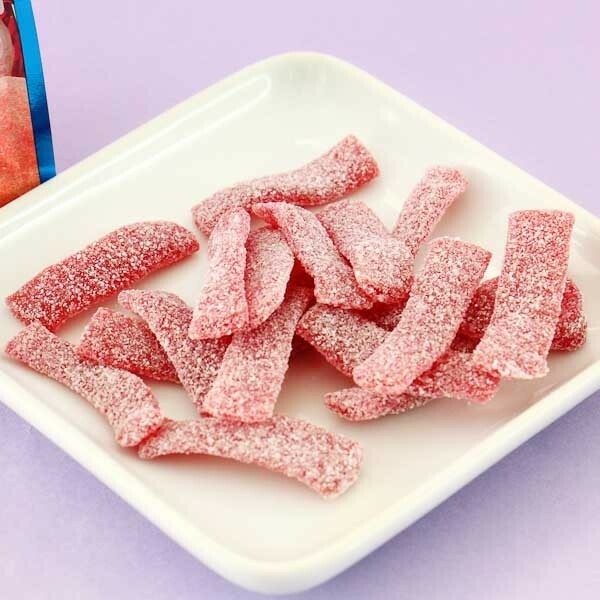 Taste these exciting mixed fruit punch flavored goodies made by Bourbon! Fettuccine Gummies are getting really popular in Japan! 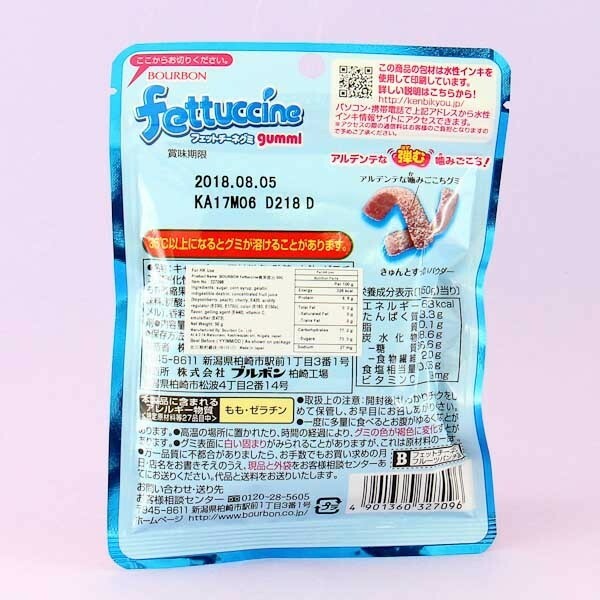 The candies are shaped like fettuccine pasta - flat and thin, but soft as a candy cloud! The sweet fruit flavored gummy and the sour powder on top of the gummy make the perfect combination! 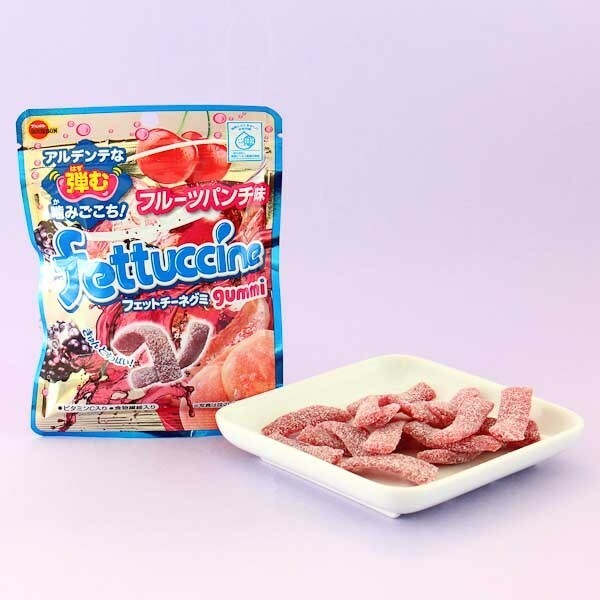 The candies come in a resealable package, and have a wonderfully yummy mix of blackberry, cherry, and peach flavor! Flavourful soft candy shaped like pasta!